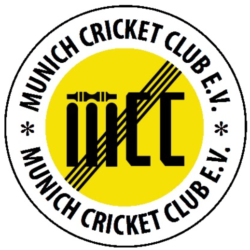 “Clear blue skies, temperatures around 18°C and MCC headed to Hasenbergl for what was expected to be the start of season thrashing by the Pak Orient. Captain for the day Blades had decided at practise on Friday that we would field first to make a decent game of it, provided we could get a team out at all. Fortunately we were able to get a couple more players from the nets and with Veser bringing a cricket playing friend along we were able to field just eleven players. At the DCB agm on Saturday afternoon Adschi stated that we had better have a strong team otherwise his members would crucify him. I told him not to worry as we had selected the strongest team we could get. The game started punctually at 12:30 and, as new member Amit Bhalerao had informed us he would be late, a Pak Orient player, Shafiq, fielded for us. When Amit arrived it was agreed to play a bat and field 12-a-side game anyway. MCC bowled and fielded extremely well against a strong Pak Orient team, six catches were taken, two by keeper Van Giezen. There were probably another five catches put down but that is to be expected in the first game of the season. Ferguson with 2 for 14 off five and Garner with 0 for 17 off five were particularly parsimonious but everyone bowled well and only became expensive in the later big bashing overs. After 35 overs Pak Orient were 199 for 10. During the innings break we had a small presentation and Bryan Ferguson handed over the best bowler cup of the recent BCV indoor championship to Paul Wasciewicz. Veser and Ferguson opened the MCC innings, both looked in good form before Veser was caught behind for 18 in the 6th over and the total on 37. Bhalerao replaced him and immediately looked very relaxed although it was the first time he had played on a Flicx pitch. He and Ferguson put on 40 for the second wicket before Bhalerao was out LBW for 14. He was replaced by Praveen K P, Manny’s friend from Baden-Württenberg who, unfortunately, will not be available much for the remainder of the season. Ferguson was out shortly afterwards, top scoring with 30 and in came France’s finest, Nicholas Staub, who scored his first run ever in Munich cricket. Staub went for one being bowled by the magnificently named Sher Khan, the first of three wickets for him. Van Giezen hit some lusty shots but went for six, again falling to Sher Khan. Garner was looking good but was run out for one after some poor calling and was replaced by Wasiewicz who put on 15 with KP until KP became Sher Khan’s third victim, going for 23 in the 26th over. Wasiewicz and Blades put on 10 for the eighth wicket before Wasiewicz went for five, a very high no-ball having been dispatched for a superb boundary four. Blades and O`Connor put on an energetic 10 runs for the 9th wicket, Blades going for 13 with the score on 140. Shafiq had heard of the MCC duck race and wanted to be in it being bowled first ball playing the crossest of cross shots imaginable. Sestan, clearly a bit miffed because O`Connor won the race in 2012 decided to get in a head start and went for nought after facing thee balls. 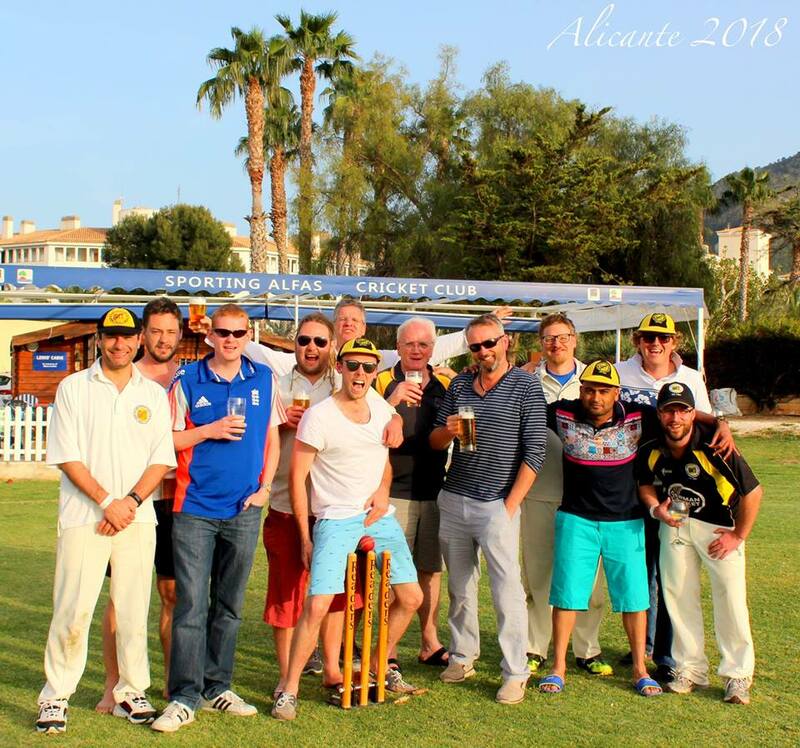 MCC finished on 142 for 11 and everyone had a most enjoyable afternoon in the spring sunshine. Sestan, 0, caught, 6 overs, 0 mdns, 34 runs, 4 wkts.